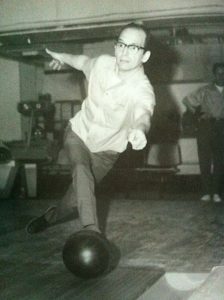 Join the LaBargo Family in an annual tradition honoring a Staten Island Legendary Bowler, Dom LaBargo. 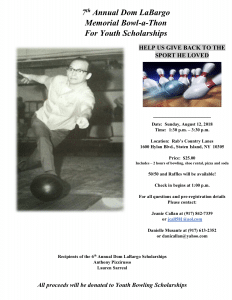 Help us give back to the sport he loved! All proceeds will be donated to the Rab’s Country Lanes Youth Scholarship Program to be awarded to Staten Island Youth Bowlers. 50/50 and Raffles will be available as well.